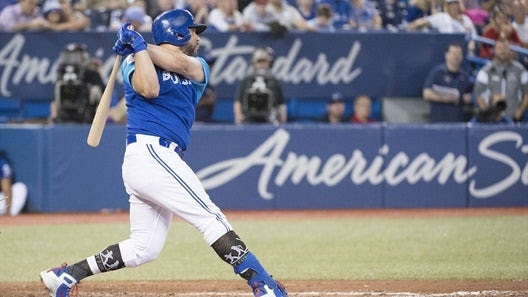 Kendrys Morales was an all-around champ this week, as he cranked out 7 HRs, recorded 12 RBIs, and batted .478. MASTERBLASTERS had the biggest jump in the rankings thanks to Kendrys Morales. Putting up 5 saves, a .292 BA, and 40 RBIs pushed SCHNOOKERS to the top of the pile. Colt 45s have now had four straight weeks of above-average team performance. SKINS have moved up a total of eight slots over the past five weeks. Only coming up with 0 stolen bases, 23 RBIs, and a 5.00 ERA caused SPACE COWBOYS to careen down three spots in our power rankings. Sergio Romo is the main reason for ARMCHAIR SLUGGERS’s jump in the rankings, as he racked up 2 saves and sported a 0.00 ERA. TEABAGGERS were the worst team in the league in the WHIP category this week, which is no big surprise given that they’ve been the worst team in that category overall for the season. Coming up with a 1.60 ERA, a 0.96 WHIP, and a .298 BA allowed MASTERBLASTERS to rocket up four slots in the power rankings. DEADWOODS’s drop this week means they have now fallen six spots total over the last five weeks. SHAMS have been enjoying the services of Jose Alvarado, who has given them seven straight weeks of above-average roto performance. SMOKING GUNS dropped and no one is more to blame than Hector Velazquez, who sported a 27.00 ERA, tallied a 4.13 WHIP, and totaled 0 saves. SALUKIS hasn’t had an above average team performance in four weeks. DEADZONES have now been hanging out down here for nine consecutive weeks.